Tender process launched for development of KrisEnergy’s offshore Cambodia Apsara Oil Field Project, drawing interest from all Asian contractors. 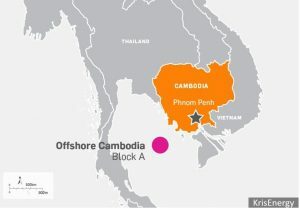 Independent Singaporean oil company KrisEnergy are finally inviting contractors to tender for the engineering, procurement, construction, installation and commissioning services for the development of their Apsara project – Cambodia’s first offshore oil field, which they have been operator of since 2014. The call for tender, announced earlier this year, is set to be a highly appealing opportunity for all Asian contractors. It will involve two packages in total, one for EPCIC services for the MFP (minimum facilities platform) and mooring installation, and the second for the drilling of around twenty production wells in the Block A Phase 1A development. Tender bids are anticipated to be submitted on the 1st of June this year, requiring contractors to provide project financing. The FSO will be awarded on a lease basis, meaning KrisEnergy will pay the owner a day rate, whereas the 24-slot wellhead platform will be contracted out. 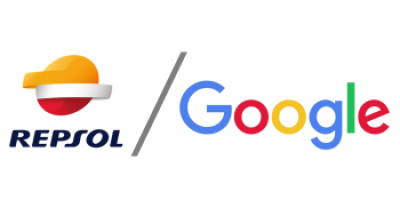 The Singapore-based operator has dedicated the past quarter to cutting costs for the development of its landmark project, whilst preparing to invite contractors to bid for the platform and FSO contracts. At the time the tender bid was declared, KrisEnergy claimed that it was “not appropriate to release expected capital expenditure at this point when embarking on a competitive bidding process” when questioned about their figures, despite reaching FID in October last year. 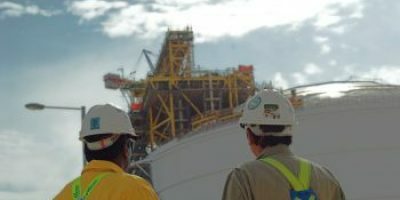 It is now assumed that offshore builders from other South-East Asian countries, such as Vietnam, Thailand and Malaysia, will be the key players competing for the FSO contract as well as the barge upgrades to the existing infrastructure. The Apsara oil field lies in Block A, which covers 3,083km squared in water as shallow as 50-80m, in the Gulf of Thailand’s Khmer basin. KrisEnergy owns 95% of the contract area that they plan to develop in its north-eastern section, while the Cambodian government possess the remaining 5%. The oil field is expected to deliver something close to 8,000 bpd of crude, and first oil is expected in late October 2019. So far, a total of twenty-seven wells have been drilled in Block 1A, thirteen of which have struck oil and gas. KrisEnergy expects prices for gasoline to decrease as they will be able to refine the crude in the Kingdom of Cambodia, and the second half of this year will prove to be significant for the operating company in achieving this, as they search for partners to contribute economically to the $150million investment. Apsara’s initial development plan has been divided into three phases, 1A, 1B and 1C, the first two stages of which are covered by a permit signed by the operator and the national government. KrisEnergy will be seeking an additional production permit for the final stage of their Phase 1 development, which will be dependent on the success of the first two. The reservoir performance of Phase 1A will, of course, be monitored for around six-months once the platform in onstream before KrisEnergy go ahead with 1B that would involve an additional three platforms producing to the barge and FSO. A potential phase 1C could add up to another six platforms. Specifically, Phase IA includes drilling of 20 development wells from the unmanned offshore platform A that will possess a 24-slot wellhead and processing facilities. Phase B is set to commence shortly after, including the installation of platforms B, C and D that will be tied back to platform A via pipelines 5k in length. The new, permanently moored FSO vessel will accommodate all production from this phase, as recovered hydrocarbons will be transferred to it by a 1.5km pipeline. Should the project reach Phase 1C, the potential processing capacity will reach 30,000 barrels of fluid per day. In this case, there will be a total of 10 platforms that constitute the Apsara field. A spokesperson of KrisEnergy has confirmed that the barge was “acquired some time ago. It requires refurbishment and is not currently in operation”, however, the MFP and mooring system are planned to be installed before July 2019 in order for the drilling campaign to commence. On board the barge will be separation facilities used for the gas, oil and water. With the market developing significantly in Asian countries, candidates with offshore and Asia experience will be highly sought after to fill positions on this project and many others, so please ensure that you send us your up-to-date CV to be considered for oil and gas jobs!